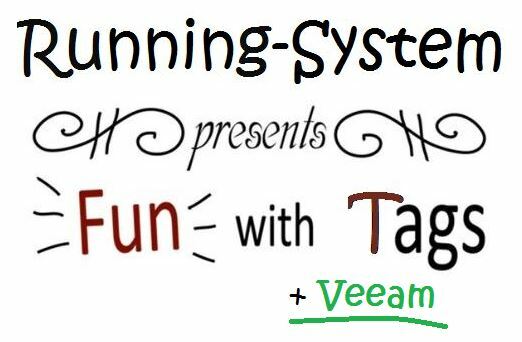 In the first episode of “Fun with tags” I wrote about some vSphere tag basics and the charming PowerCLI integration. In this episode, I will introduce you some possibilities of vSphere Tags in combination with Veeam Backup and Replication, respectively Veeam ONE. if you need a job for one or more dedicated VMs you can add them individually. This is a static collection and you have to add or remove VMs manually. if you are looking for a job that is adjusting dynamically to any change, you can add an entire cluster or even an entire vCenter Server to a backup job (Host and Clusters). or you prefer to select the objects based on folders (VMs and Templates) or datastores (Datastores and VMs). So one may ask, why the heck should I use tags when there are so many other possibilities to select objects for a backup job? A virtual machine can only reside in one folder. So if you already use the folder structure to classify your VMs for a given task (eg. permissions) it is not possible to add the VM to a second folder for another task. When using tags, you can assign multiple tags to the same object. Furthermore, folders are usually maintained by administrators. In contrast, tags can also be applied by users (if they are allowed to do so). Other advantages of using tags eg. in filters and searches or in combination with scripts I already described in “Fun with Tags, Episode 1: Basics and PowerCLI“. Imagine your boss wants you to classify the virtual machines based on different RPO times. Building on this information, the backup jobs should run as often as necessary to fulfill these requirements. Define one job per desired RPO time related to the created tags. If a new VM is deployed, it will be added to the respective backup job dynamically, as soon as it is tagged. No need to take care of backup jobs and associated VMs anymore! Stop! What if one forgets to tag the VM? No protection? Indeed, if somebody deploys a new VM and forgets to assign the necessary tag it will not be included in a backup job. 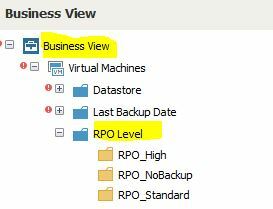 For that reason, we created the backup policy “RPO_NoBackup” in the example above. 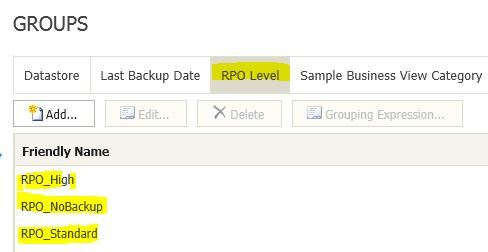 The tag “RPO_NoBackup” is not associated with any backup job and should be assigned to every VM, where no backup is needed/wanted (eg. for Test-VMs). Doing so enables us to identify untagged VMs very easy with the help of Veeam ONE. You will learn more about this in the next part. Before you can use vCenter Server tags within Veeam ONE you have to perform an initial object categorization in Veeam ONE Business View. This example is kept very simple for easier understanding. If you want to use Veeam ONE Business View Categories, Groups and Tags in production I recommend you to take care of the Veeam Help Center | Business View User Guide. As I wrote in part one of this article, it is necessary to take care of untagged virtual machines if you use them for backup jobs. As the vSphere tags are now mapped with Veeam ONE, you can filter/search for uncategorized VMs very easy. 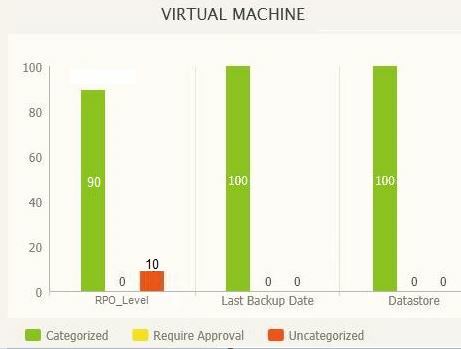 If you take a look at the RPO_Level graph: Ten percent of the VMs are not categorized. That means they are not protected in our use case! Assign the corresponding tag to the uncategorized VMs – and your backups will work like a charm! I hope I was able to give you an idea, how powerful vSphere tags can be in combination with third party vendor software like eg. Veeam!